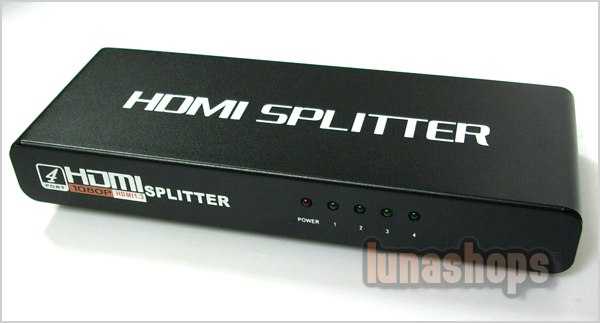 Pls Note: This is 1 HDMI signal in and 4 HDMI (ports) output splitter. 1.Easy to use: No need for settings. 3.Cascade:Large distribution achieved by stacking. 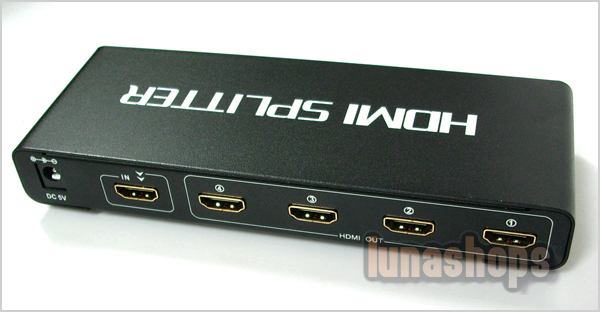 1.EDC 4 way HDMI splitter,distributes the input HDMI signals to 4 identical HDMI outputs.These 4 outputs are synchronized. 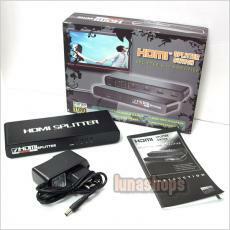 2.Indicator of HDMI output when a HDMI equipment is connected the corresponding LED lit. 2.Offers solutions for digital entertainment center,HDTV retail and show site,HDTV,STB,DVD,PS3 and projector factory,space and security conerns data center control ,distibution,conference room presentation, school and corporate training environments.